Nitrous is yet another collaboration between Performancing and Brian Gardner, released as a free monthly theme by Performancing Themes. 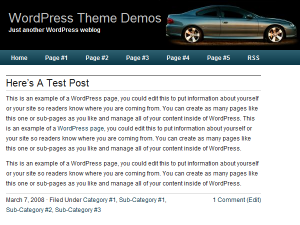 Update: Nitrous has been updated for compatibility with WordPress 2.7 and up. Download the latest version here.